The decision will be made by my staff (who don’t know any of you) each week to ensure impartiality. 5. If you “follow up” or ask in any way if your service will be picked, why yours wasn’t picked, if we got yours or anything that in any way annoys me or my staff you will be disqualified. Forever. I would either be selling the leads, rent the video, or use the ranking to get clients. I don’t really do much of this anymore. Not because it doesn’t still work, because it does. So as I started growing other ventures I just didn’t have time for it. But I don’t want everyone to give up on this method. That’s it. Hours, or days worth of work done. If you’re not familiar with the method I am talking about I made a quick video to go into a bit more details. These really spice up your videos, show off your brand, and make them look more clean and professional and at that price, you can get a few variations and customizations. That’s where this service comes in. This isn’t rocket science. He isn’t reinventing the wheel. Its just strong links powered by strong links, resulting in strong rankings. If it takes doesn’t appeal to what the user wants, it won’t convert. If it doesn’t make it clear what is for sale, it won’t matter how much traffic it gets. Some of them didn’t get the job done. 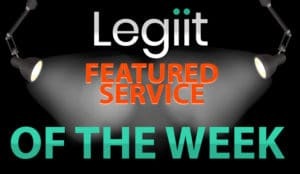 …and that is why he is this week’s Legiit featured service of the week. If you don’t know what you are doing you can really mess up a sire doing site speed optimization… I know I have before… so it is best to leave it to a professional. It is a fairly time-consuming process though so I doubt he will be able to take on a ton of people so I suggest you jump on this ASAP. That’s what makes a site truly valuable, and links from that site as effective as possible. Of course you can’t just go to Fox News or MSNBC and throw a link on their site. That’s where sites like those on this week’s Legiit Featured Service Of The Week come in. But it writing in a way that accomplishes the writers intent doesn’t come easy to all of us. Copywriting is often very expensive, Google it if you don’t believe me. …that’s not how it works, and I was left with a bunch of unhappy customers. Enter this week’s service of the week. …but that’s super tedious and time-consuming. I’m to busy to be commenting on forums all day and so are you. Enter a tool called Cora… Cora is a site audit tool… but it doesn’t spit out some generic report like Woorank does it really deep dive your site and give you a report with hundreds of things you can change that will help you optimize your site in a way that will 100% separate you from your competition. This week’s service of the week is a powerful one that can boost rankings site wide all at once via Domain Authority Stacking. This week’s service of the week is an integral part of any local SEO or general branding campaign and is something I do for every client to both build hundreds of powerful foundational links, drive traffic, and create citations all at once and it often leads to a ranking increase and in many cases I have seen first page rankings in just 24 hours! A press release in case you aren’t familiar is a well written article with an announcement about your business that is then submitted to news outlets throughout the country and world. This week’s service of the week is one I have been using for over a year in my own business so I am pumped that it got chosen! I don’t know about you, but when I start a new site whether it be affiliate, local, E-Commerce or a PBN site the thing that most often holds me back is getting a nice looking site together quickly. As we know getting a verified Google Business listing for a location where you don’t have an address available can be near impossible. I have shown some black hat methods in the past but with this service you can get a much more reliable and guaranteed to stick GMB listing for an additional location, a lead gen site or anything else.